Stickers are a great way to help keep little hands busy, whether that’s on a car trip, away on holiday or just a rainy day at home. 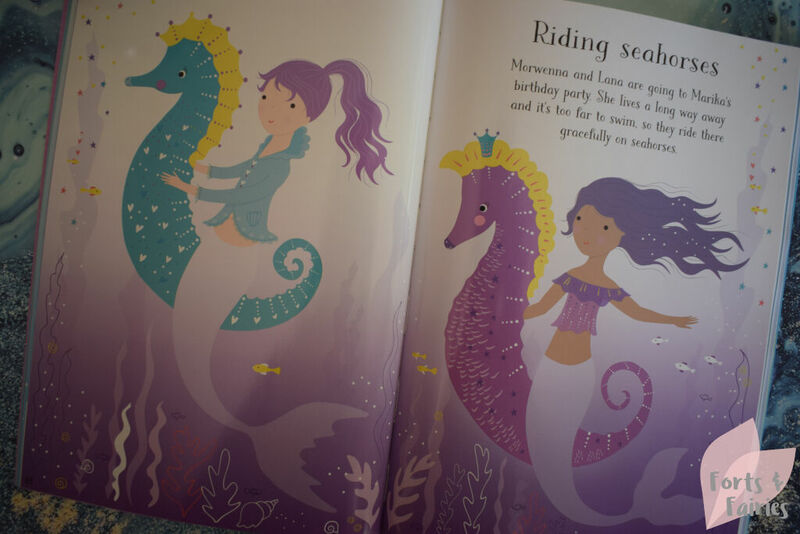 I love the range of sticker books available from Usborne Books, and this Little Sticker Dolly Dressing: Mermaid is no different. The Mermaid theme has to be one of my favourite so far, filled with beautiful, brightly coloured under the sea scenes and gorgeous stickers to decorate these with. There are over 200 reusable stickers included, and being able to store the stickers on the back cover which folds out is very handy. The stickers are easy to peel and adding them to each scene will encourage your child to be imaginative but also help to develop their fine motor skills. 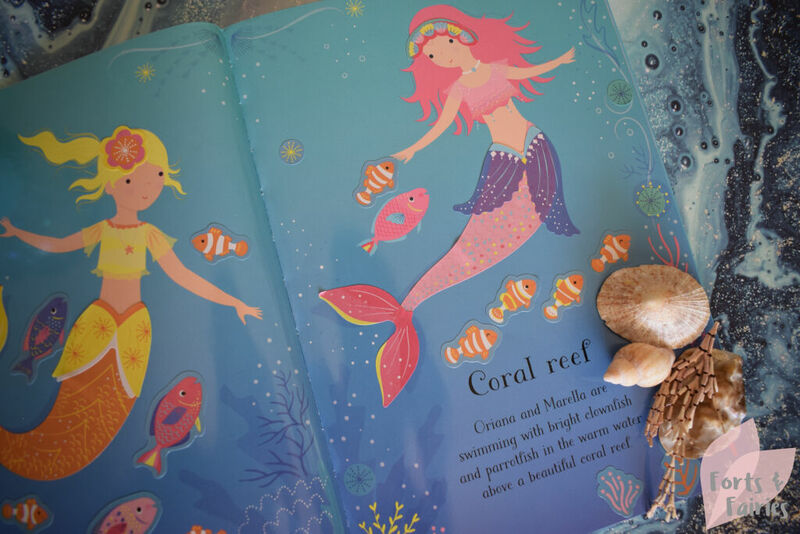 There are so many different mermaids your little one can dress in this book, they will be able to add mermaid tails, jewellery and even skirts to the dolls. There are also fish, shells, seaweed, shells and friendly sea creatures to add to bring the scenes to life. 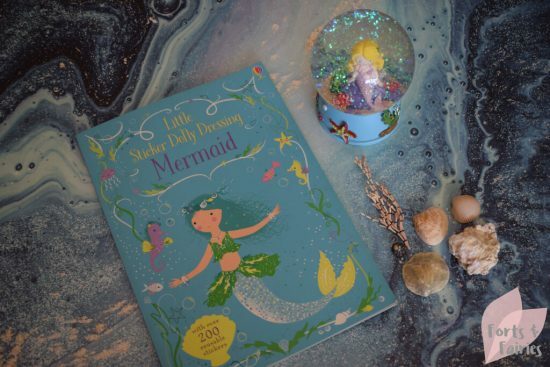 Little Sticker Dolly Dressing: Mermaid is the perfect choice for spoiling someone special who loves mermaids. This book is a great size for young children to hold and promises to keep little girls (and even their moms) enchanted for hours on end. 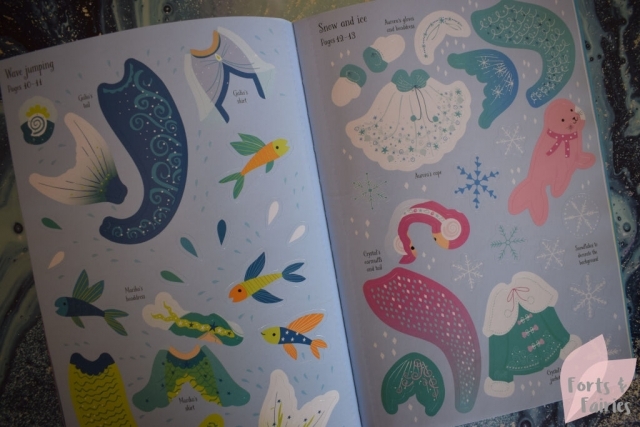 Little Sticker Dolly Dressing: Mermaid is available from book stores and online retailers for a recommended retail price of R130. Thanks to Penguin Random House for inspiring us with this wonderful Ubsorne activity. My daughter would love this. Thanks for the review.